Researchers have finally devised a way to take artificial leaves out of the lab and into the real world where they can do some much-needed good. One can not help but marvel at the ingenuity of nature. Leaves, for instance, do an incredible job of converting carbon dioxide (CO2) into oxygen, making a better planet for us all. Impressively, researchers have successfully copied nature and created artificial leaves that work just as well or even better than real ones. These engineered leaves mimic photosynthesis effectively; however, they have one caveat. So far, they only work in labs. Because they use pure, pressurized carbon dioxide from tanks, these little marvels of engineering could not be taken outside in the real world where they could help with reducing CO2, until now. Researchers from the University of Illinois at Chicago (UIC) have invented a solution that could see artificial leaves be used in the real world. Better yet, their leaves would be 10 times more effective at converting CO2 than real ones. "So far, all designs for artificial leaves that have been tested in the lab use carbon dioxide from pressurized tanks. In order to implement successfully in the real world, these devices need to be able to draw carbon dioxide from much more dilute sources, such as air and flue gas, which is the gas given off by coal-burning power plants," said Meenesh Singh, assistant professor of chemical engineering in the UIC College of Engineering and corresponding author on the paper. To solve this dilemma, Singh and his team have devised an artificial semi-permeable membrane that would allow water to evaporate when hit by sunlight. When this occurs the water would also pull in carbon dioxide from the air. Then, an artificial photosynthetic unit would convert carbon dioxide to carbon monoxide and oxygen. The carbon monoxide would be collected and used in the development of synthetic fuels. The oxygen, however, could be released back into the environment where it is very much needed. "By enveloping traditional artificial leaf technology inside this specialized membrane, the whole unit is able to function outside, like a natural leaf," Singh said. What is more impressive is what these leaves put outside could achieve. The researchers estimate that 360 leaves, each 1.7 meters long and 0.2 meters wide, would generate almost a half-ton of carbon monoxide. More importantly, if the same amount of leaves were put to cover a 500-meter square area, they would decrease carbon dioxide levels by 10 percent. The researchers were also quick to point out that their technology is based on easy-to-access materials. 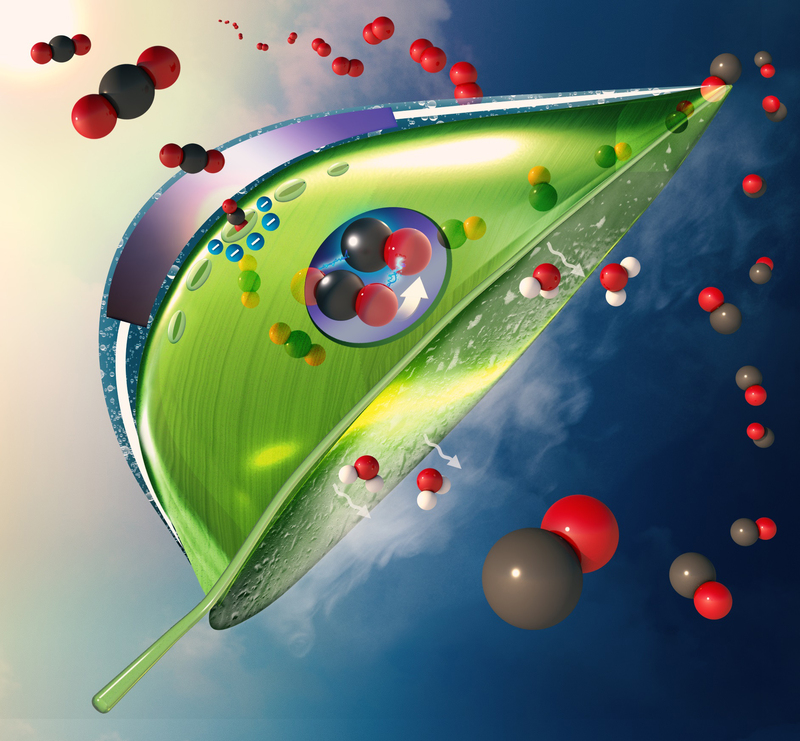 "Our conceptual design uses readily available materials and technology, that when combined can produce an artificial leaf that is ready to be deployed outside the lab where it can play a significant role in reducing greenhouse gases in the atmosphere," Singh said. Their findings are published in the journal ACS Sustainable Chemistry & Engineering. “It Looks Pretty Darn Real” - AI Writes Better Texts Than You Do!